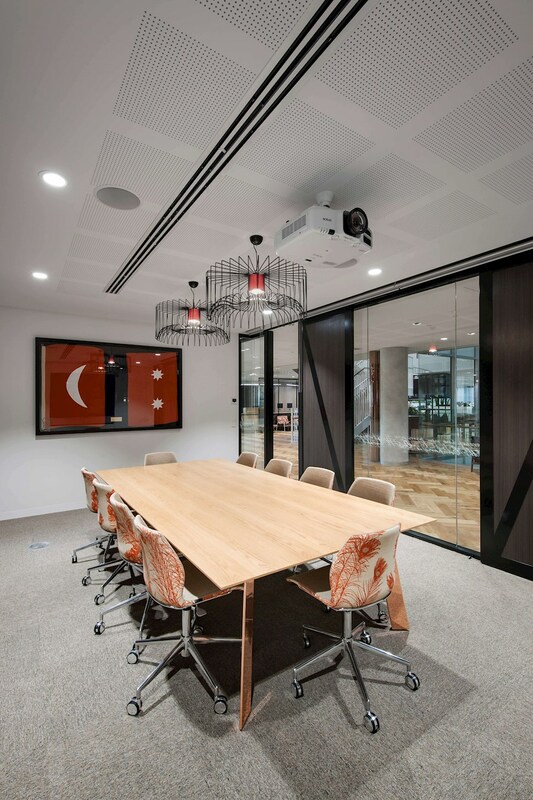 Project Story: Iconic South Australian comany Elders' new 3000m2 Adelaide office fitout to accomodate over 200 staff was completed by the taleted design firm JPE Design. 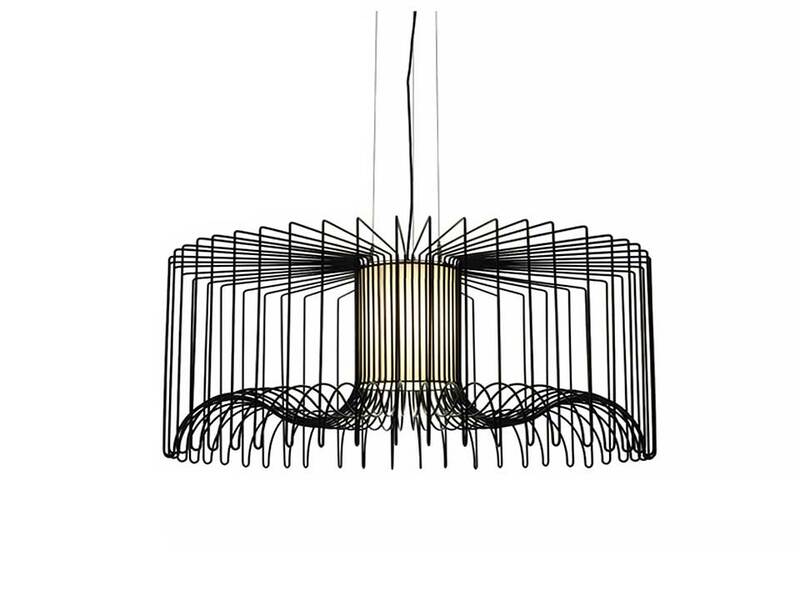 Set over 2 levels, the design is an expression of the company's core philosophy and business, with open and collaborative spaces, connection to the outdoors, and areas to exhibit their entesive art collection. 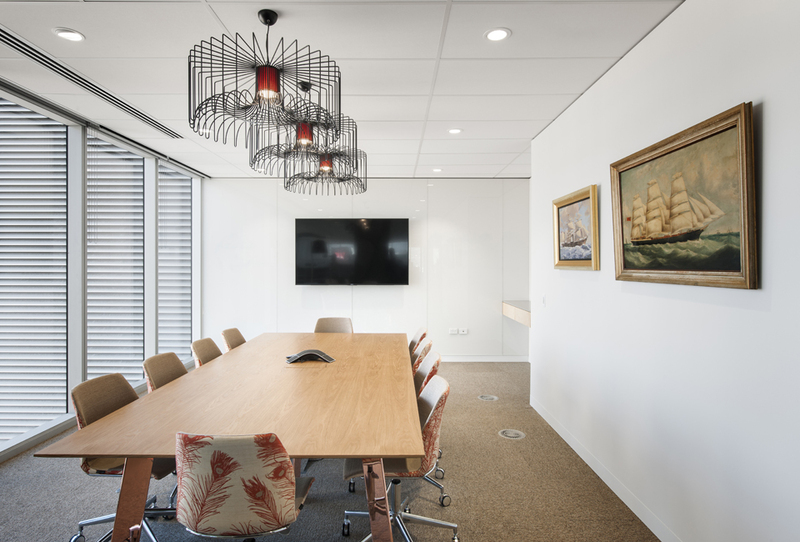 The Icaro 75 pendant in black steel with Elders colour red cotton fabric insert, sits nicely over boardroom and meeting tables.